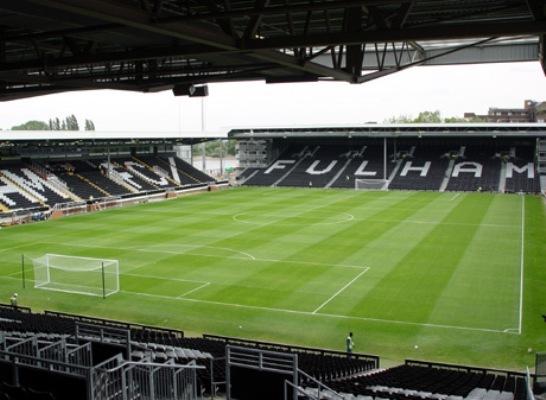 Fulham versus QPR was the only match for Monday of week 31 in the Premier League. The result of the match means much more for QPR and their chances of survival in the EPL. Video Highlights are available for U.S. readers. I had predicted a 2-1 win for Fulham to heap more woe on struggling Queens Park Rangers. What ensued in Monday’s match was probably the best game of the entire weekend. Fulham opened the scoring through a Dimitar Berbatov penalty after Christopher Samba brought down Ashkan Dejagah. Fulham added two more goals before the half time break through Berbatov and a Clint Hill own goal. QPR got a huge goal back in the last minute of the first half through Adel Taarabt. The second half was a much better one for Rangers despite Loic Remy missing a 49th minute penalty. This could have been karma considering how Adel Taarabt appeared to go over very easily in the box. He did manage to make up for this with a 51st minute goal. Fulham should have had a penalty for a handball in the box but the referee was poor in not making the decision. Perhaps a video replay would have helped him get it right? Queens Park Rangers were the better team throughout the second half and were helped even more with Steven Sidwell’s 79th minute red card. Again, it seems the referee made a mistake. It was certainly a foul and a yellow card, but the sending off seemed harsh. Mark Schwarzer made a fantastic save on a Bobby Zamora shot to keep Fulham’s lead. While Berbatov was involved in two of Fulham’s goals he seemed to disappear completely in the second half. The loss for QPR keeps them in 19th place level on points with Reading at 23. They are also 7 points away from Aston Villa and Wigan just above them. Fulham’s win keeps them in the top 10 for another week.